Are you ready for your kids to start learning about finances? Well, don’t send them to me! This may surprise you, it certainly surprised a client of mine that asked me to work worth their children. I specialize in working with baby boomers who are getting ready to retire and I don’t work with young people. I had my point of view confirmed the other day when I had lunch with a friend who is a local financial advisor that works with millennials. He knew so much about the tax opportunities that are available to millennials with student loans that I had no idea about. 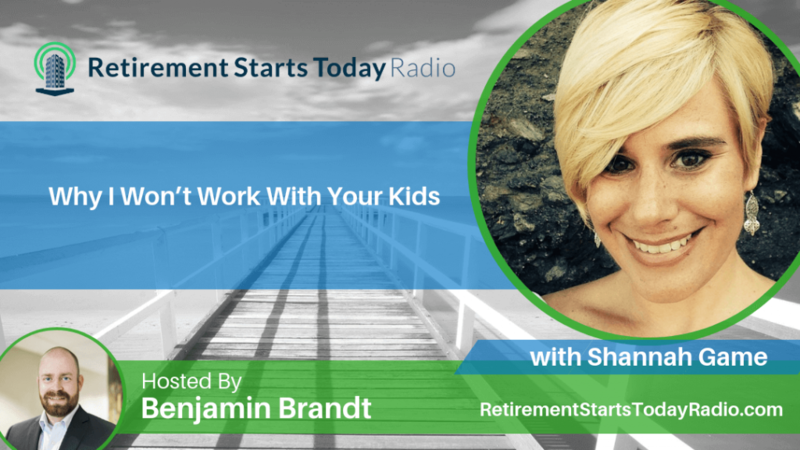 I decided to delve into the differing needs of parents and kids with a millennial financial expert Shannah Game on today’s episode of Retirement Starts Today. [4:54] Why are the financial needs of millennials different than baby boomers? [7:35] What are some specific needs of millennials? Young people are in a completely different stage of their lives than baby boomers so their financial needs are completely different as well. 20 years ago financial planners were the experts in all areas of finance, but today financial planners are able to niche down and focus on helping one specific group of people. There are unique financial opportunities for young people that I am not privy to since I only work with baby boomers approaching retirement. However, by only working with those approaching retirement I am able to be laser-focused on the financial needs of soon-to-be retirees. Why are the financial needs of millennials different than baby boomers? The millennial generation is so different than any other that has preceded it. They have had technology for their entire lives and it is second nature to them. Credit cards are important to this generation because we are quickly turning into a cashless society. Since there are so many apps out there that provide them with anything they want in an instant, many millennials have a hard time tracking where their money is going. At the end of the month, they don’t have any money left in their account and they don’t know why. What are some specific financial problems that millennials face? Most millennials are burdened by a crippling student loan debt. In some cases, their student loan debt is almost the equivalent of a mortgage. Because of this you often see them with delayed attainment of goals. 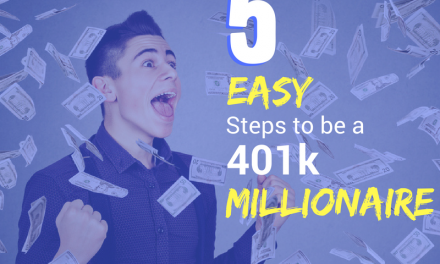 They wait to get married, buy a car, or a house, or even to begin saving for retirement. Many millennials are also turning to entrepreneurial ventures and have side gigs to help them through their financial struggles. The beauty of the information age is that you can find out the answer to just about any question you have. This is true for finances as well. There are loads of podcasts, blogs, books, and even apps out there that can help someone learn more about finances. Young people can do a lot of investing themselves if they don’t want to work with a financial advisor. The beauty of investing when you are young is that compound interest does a lot of the heavy lifting. But if a millennial decides they do want to work with a financial planner then they are not bound by location. Most advisors for millennials are location independent. Nowadays you don’t have to have a whole lot of assets to work with one. You can pay a monthly fee and have a financial planner on retainer to answer any questions you may need.